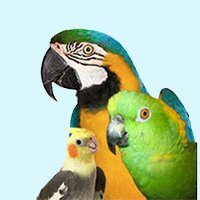 The Greater Chicago Cage Bird Society (GCCBS), Formerly Greater Chicago Cage Bird Club (GCCBC) was established on February 11, 1938 and is a Not-for-Profit organization. 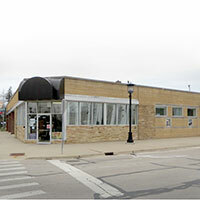 The society runs the Adoption and Rescue in Villa Park, Illinois. We hold meetings on a monthly basis. We meet on the third Friday of every month except November and December. (Meeting location may vary during the year). December’s meeting is on a weekend in conjunction with our Annual Holiday Party. At each meeting after the primary business has been discussed, we have a social time with refreshments and our program presentation with informative speakers. GCCBS offers a bulletin with informative articles that are bird-related, and contains Society reports, and a classified ads section for currently paid members. The bulletins are primarily emailed before the next monthly meeting. 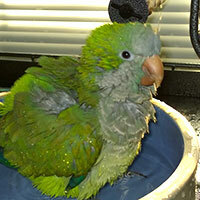 The Adoption Program takes in unwanted birds from several different sources and provides for their care at our shelter in Villa Park, Illinois. All positions held within the society and rescue operation are on a volunteer basis. The society is able to do these activities through members volunteering to work. The board members and officers are elected according to the society by-laws. All members present at the election meeting vote to determine whom they want to elect to these positions. In addition, the bulletin editor(s), membership chairperson, adoption decision committee, and publicity chairperson are all volunteer positions. President: The President shall be the chief executive officer of the society and shall preside at all general society meetings. The president shall see that the bylaws of the society are enforced. He/She shall appoint such committees as are necessary to the functioning of the society. The President shall be an ex-officio member of all committees. Vice-President: The Vice-President shall be in charge of the program for the society meetings. In the absence of the President, he/she shall assume the duties of the President. Secretary: The Secretary shall record the minutes of the regular meetings and the meetings of the Board of Directors. All business correspondence shall go through the Secretary and a complete file kept of same. He/She shall keep a record of all proceedings of the society. He/She shall provide to journals material covering the activities of the society and such other information of educational nature or interest to bird fanciers. Treasurer: The Treasurer shall keep record of the accounts of the society, accounting for receipts and disbursements. These records shall be open to the members at reasonable times for inspection. He/She shall publish an annual report to the active members. He/She shall have custody of the corporate emblem and affix the seal when necessary. To be eligible to serve in an elected office, or two-year term of director, one must have been a member in good standing for two years. To be eligible for the Board of Directors, nominees must be twenty-one (21) years old or older and have been a member in good standing for one year. To be eligible for the two-year terms, nominees must be twenty-one (21) years old or older and have been a member in good standing for two years. 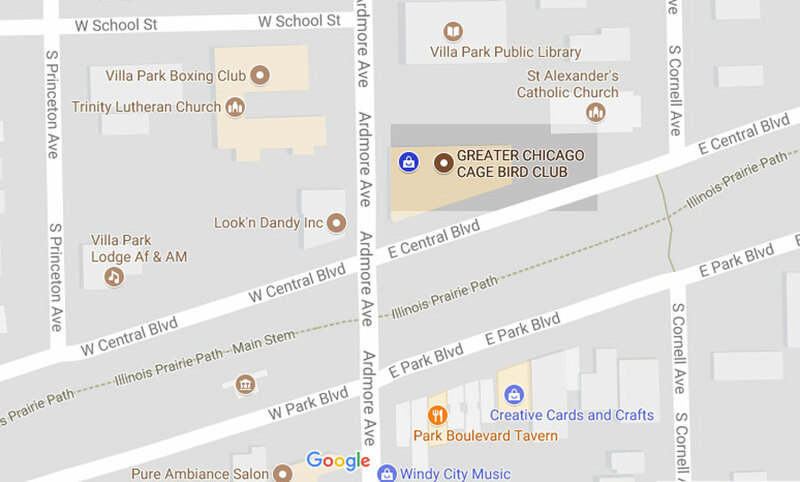 No duly elected officer or member of the Board of Directors may hold office in any other cage bird society that meets in the Chicago area. We hold meetings at our Rescue and Adoption Center (the Shelter), at 317 S. Ardmore avenue, in Villa Park, Illinois on the third Friday of every month at 8 pm, except November and December. (Meeting location may occasionally vary during the year). Guest are welcome to attend our meeting but are not eligible to comment or vote on society business issues. A quorum of 15 is necessary to vote on any society issues/business at a meeting. We will also host elections at either our December or January meeting, dependant on the current Board of Directors choice of month. At each meeting after the primary business has been discussed, we have a social time break with refreshments, followed by our program presentation. 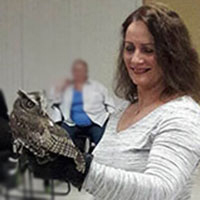 We strive to educate and inform our members and guest by hosting informative speakers such as Avian veterinarians, trainers, other rescue organizations or educational programs primarily related to proper avian care. Beverages are provided by the society but we appreciate and ask attendees to bring a food contribution to our hospitality table. 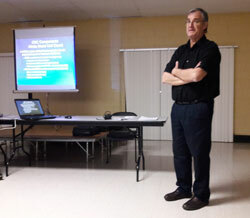 Dr. Peter Sakas, of Niles Animal Hospital gives an informative presentation on avian care, at one of our meetings. (Pictured top - Lauren from Fox Valley Wildlife...a 501c3 rescue in Elburn Illinois. 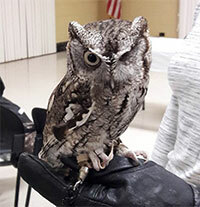 This Owl from Fox Valley Wildlife was on of our guest at our May 2017 meeting ). Contact: Webmaster | info@gccbc.org | Copyright ©2018 GCC Bird Society All rights reserved.